From the Editor. Many wonder if the Reformation continues to be relevant. 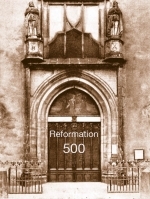 While we do not believe that the church began in 1517 or that there was no true gospel faith or church in the millennium and a half prior, we do believe that the gospel truth rediscovered in the Reformation must continue to be central to the church’s confession and life. We also affirm the need for the church to be continually to be reformed according to the Word of God. Dan Borvan’s exploration of Luther’s doctrine of assurance is a superb reminder of the relationship between sound doctrine and a healthy Christian life. John Muether continues his survey of the rich theology that grew in Reformation soil with The Second Helvetic Confession. Danny Olinger offers the ninth chapter of his biography, Geerhardus Vos, in which he describes the development and completion of one of Vos’s best books, The Pauline Eschatology. Truly Vos was the father of Reformed biblical theology. On the media front, T. David Gordon reviews Tony Reinke’s important new book, 12 Ways Your Phone Is Changing You. Reinke is a media ecologist in the McLuhan-Postman tradition, exposing the spiritual, psychological, and social perils of smart phone addiction. Dale Van Dyke reviews Tim Keller’s new book of practical apologetics, Making Sense of God: An Invitation to the Skeptical. This is not like The Reason for God, which answers common objections to the Christian faith. Instead, Keller challenges those who think they have answers in popular secular assumptions. “The Use and Abuse of Church History.” (J. G. Vos) 5:2 (Apr. 1996): 39–41.